This book fills a noticeable gap in Forsyth studies. It provides readers interested in the thought of Forsyth with a way of reading and critiquing his corpus, and that in a way that takes due account of, and elucidates, the theological, philosophical and historical locale of his thought. 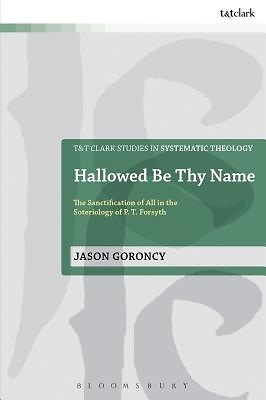 Goroncy explores whether the notion of 'hallowing' provides a profitable lens through which to read and evaluate Forsyth's soteriology. He suggests that the hallowing of God's name is, for Forsyth, the way whereby God both justifies himself and claims creation for divine service. This book proposes that reading Forsyth's corpus as essentially an exposition of the first petition of the Lord's Prayer is an invitation to better comprehend not only his soteriology but also, by extension, his broader theological vision and interests.